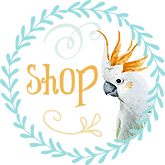 Busy Bugs Valentine's Day Specialty Pine Bird and Parrot Toys ~ Things for Wings ~ Shop for All Special Occasions Here! 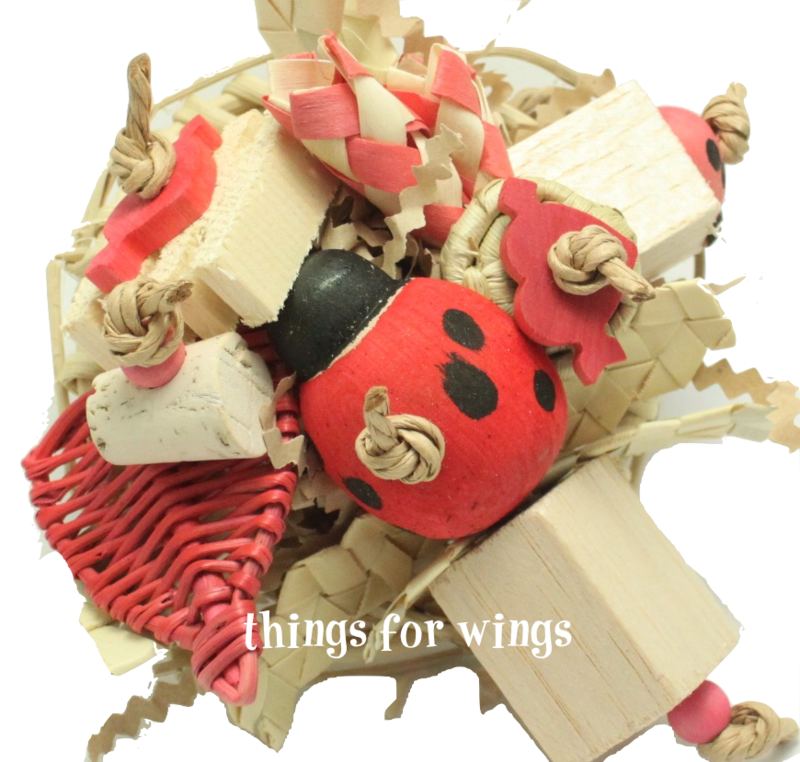 Ladybug, Ladybug, Fly Away Home, one of my favourite rhymes as a child! Here we have a toy suitable for those shredding! 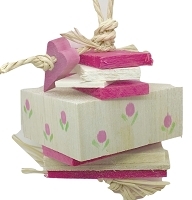 Much like our popular Daisy Duck toy, all the same ingredients. Measures 6" wide. A tough vine sunflower is the base with cork, balsa, hardwood, palm, paper and more. 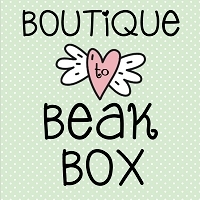 The photo isn't the greatest, but it is cute as a button! 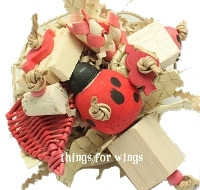 Things for Wings Toys > Love the Ladybugs!